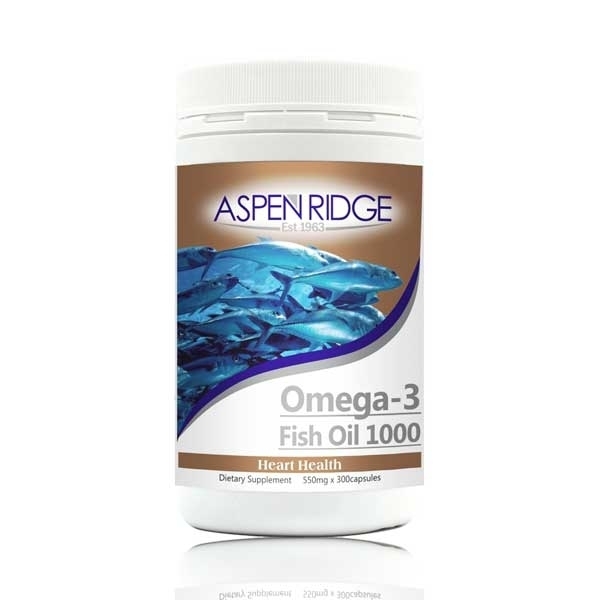 Aspen Ridge High-Strength Omega-3 Fish Oil 1000 is suitable for Men, Women and mature health needs. Omega-3 fish oil is a rich source of essential fatty acids such as EPA and DHA that contain various health benefits. Fish oil is an excellent, natural mood balancer and supports brain health, mental clarity and focus. Fish oil supports healthy eye function, while helping to aid joint mobility. 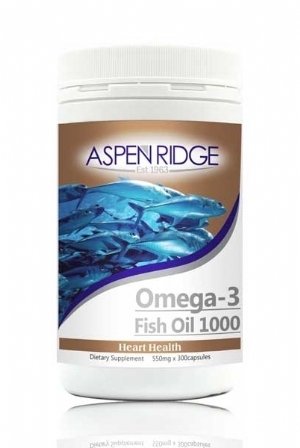 Omega-3 fatty acids support cardiovascular health. DHA may support both Male and Female fertility. Fish oil is excellent as an internal treatment for skin health and may reduce the appearance of redness and dry flakey skin. It may also help skin maintain a smooth texture and enhance elasticity to work against pre-mature aging. Adults take 1 - 3 capsules daily with food. Do not consume if seafood allergy is known.